An upcoming speech at American University by The Daily Caller’s breaking news and media editor, Amber Athey, is facing backlash from some progressive students and organizations on campus who are reportedly planning to protest the event and offer counseling services to students who are traumatized. 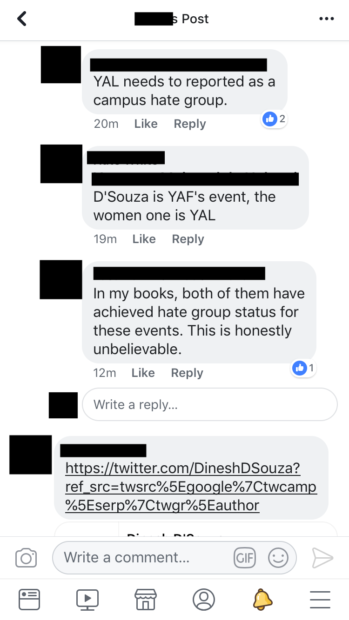 The speech—at first entitled “No, Don’t Believe All Women”—is being hosted by AU’s chapter of the Young Americans for Liberty (YAL) and will explore the importance of due process in the age of #MeToo. Facebook post obtained by The Daily Caller. 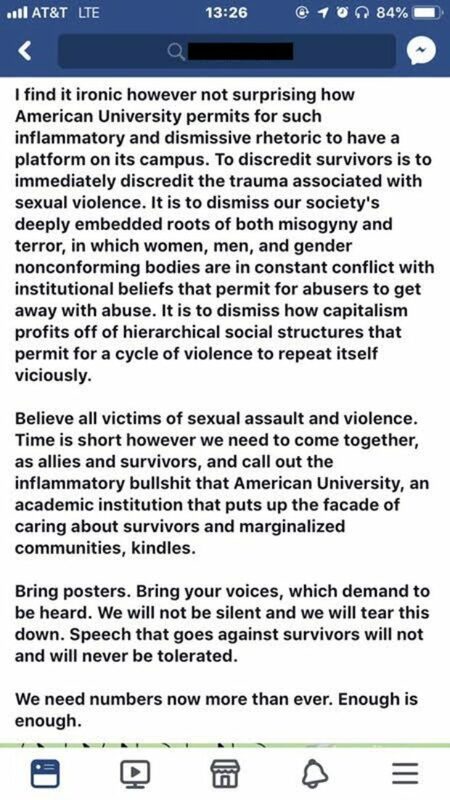 In light of an event taking place on campus on Tuesday, October 23rd that is promoting the disempowerment and invalidation of survivors in sharing their stories, AUSG WI will be opening our office as a safe space from 7:00 pm to 9:00 pm. The statement also encouraged students to “unplug from social media” and news which might be triggering, and expressed support for Kavanaugh’s accuser, Dr. Christine Blasey Ford, as well as all survivors of sexual assault. 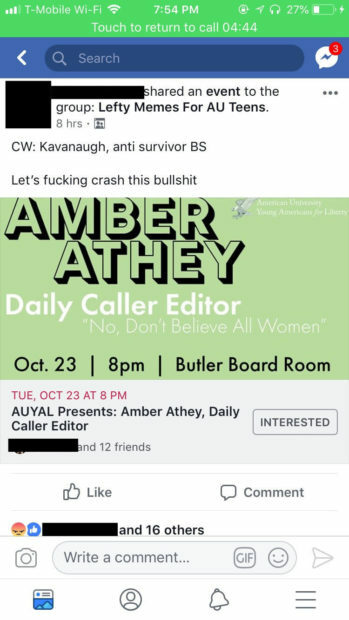 The AU Student Government did not respond to The Daily Caller’s request for comment at the time of publishing.